This bingo card is about National Hockey League Teams. 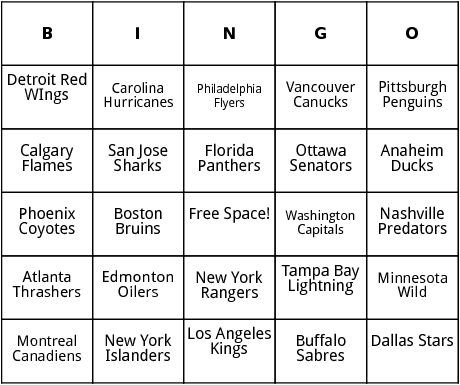 Words on this National Hockey League Teams bingo card include Edmonton Oilers, Minnesota Wild and San Jose Sharks. You can edit the National Hockey League Teams bingo card, add more words and generate printable copies of it.